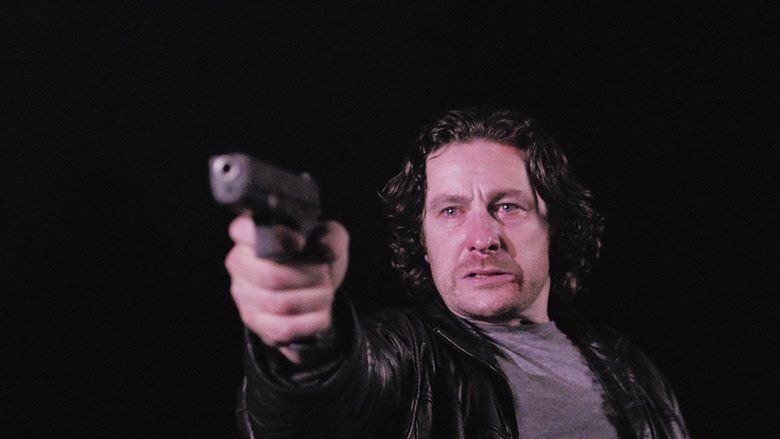 A dark, gritty, violent crime thriller, Hyena is a movie that takes the viewer on a trip through a sordid criminal underworld as experienced by its lead character, anti-hero Michael Logan, and in the process, it paints a very dark portrait indeed of police corruption and casual immorality. This is a bleak movie throughout, with plenty of violence (some of which is uncomfortable to watch), plenty of drug taking (Logan gets through a prodigious amount of cocaine), plenty of corrupt behaviour (mostly from the police, the villains aren’t quite so duplicitous), and plenty of amorality (courtesy of just about everyone except Logan’s friend, Lisa (Buring), and his boss on the task force). The message from writer/director Johnson is clear: this is a world you don’t want to be a part of. But at the same time, he makes it just fascinating enough for the viewer to become embroiled in Logan’s story and just how bad it can get. Johnson doesn’t disappoint, with even the one good thing that Logan does – rescuing a woman, Ariana (Lasowski), from the brothers’ clutches – inevitably causing him more trouble than he bargained for. How doomed, or damned, must he be that an actual good deed so quickly backfires on him? The answer lies in Logan’s initially diffident, unconcerned nature. Even when he sees his Turkish contact killed and dismembered (a recurring violent motif), Logan’s shock soon wears off, and he’s back quickly to making deals and taking charge. It’s when he meets Ariana that his self-serving attitude begins to change. But Johnson is clever enough to obscure Logan’s motives for doing so. Is it because he has feelings for her, feelings he finds it hard to articulate? Or is it because, deep down, he still has a sense of right and wrong, however compromised? 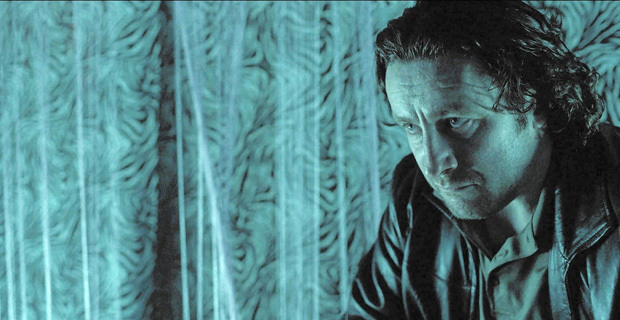 Thanks to the script’s ambiguity and a potent performance from Ferdinando, Logan’s motives remain a mystery even until the end. You could argue that there is good in him, but it’s unlikely Logan would agree with you. The character makes for a perfect guide into a world where notions of right and wrong are interchangeable, and where subterfuge exposes the flaws in those characters who need to lie in order to make personal connections. Johnson explores the tragedy of what this means for Logan as an individual, and in a wider sense as a police officer who’s strayed so far from the right path it’s like a distant memory. 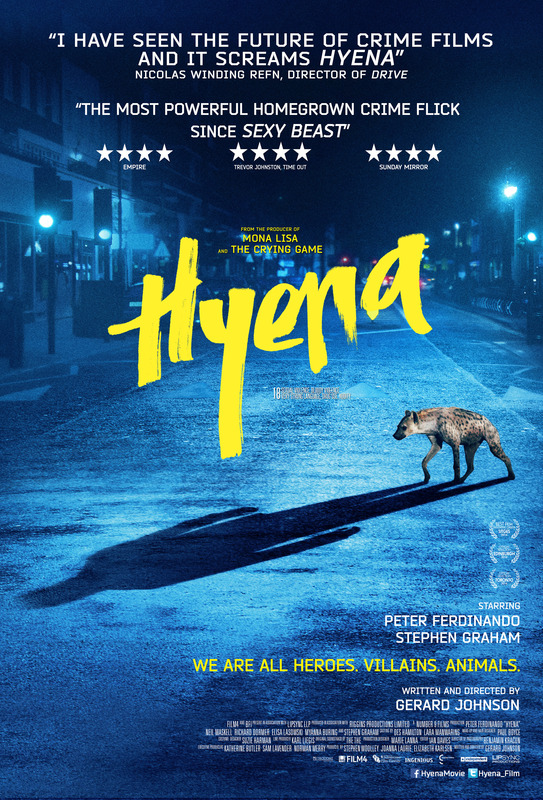 Rating: 8/10 – an uncompromising look at personal, professional, institutional, and emotional betrayal and corruption, Hyena has a substantial streak of nihilism running through it, one that makes it relentless in its depiction of the pitiless world Logan inhabits; with first-rate performances from all concerned, and a tremendously fetid atmosphere that’s exploited to the full by Benjamin Kracun’s restless, probing cinematography, Johnson’s powerful, oppressive thriller is a tough watch but more than worth it. Weird and creepy, but also a little tense. Nice review.